Umek continues his Zeta Reticula series for Billy Nasty's Electrix with 'EP 6'. 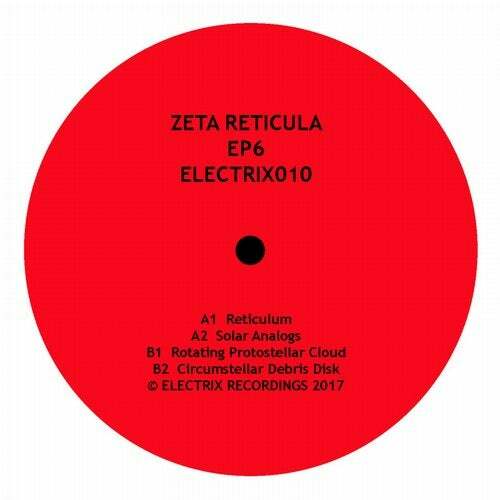 Last year Umek reprised his Zeta Reticula electro moniker to continue a series for Electrix, which originally ran between 2000 and 2003 prior to the label's more recent re-launch. Opening 'EP 6' is the bass-quaking 'Reticulum' as the release instantly sparkles and explodes into electrofunk action, followed by 'Solar Analogs', like a ticking time bomb. Both tracks have already seen early radio plays on Dave Clarke's White Noise show (download the most recent show here). 'Rotating Protostellar Cloud' heads up the B-side with its more Moroder / Kraftwerk era sound that's epic and melodious, before 'Circumstellar Debris Disk' completes the quartet, with a flurrying filmatic soundscape approach.